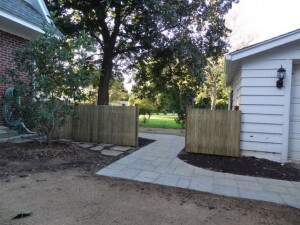 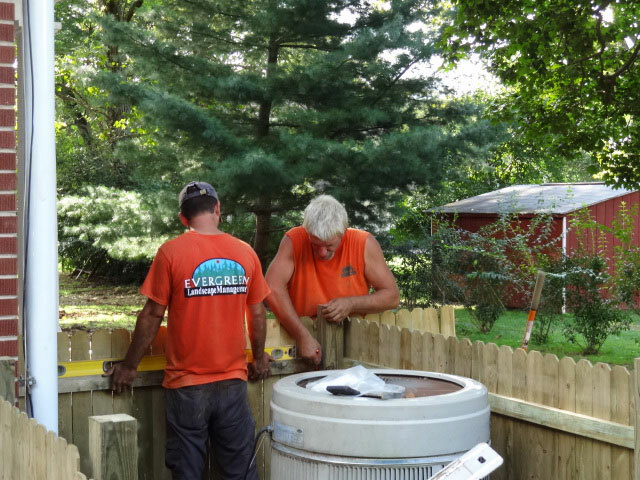 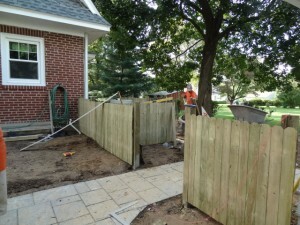 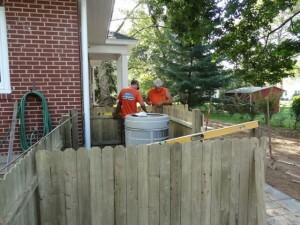 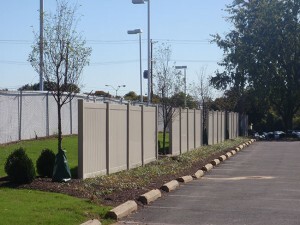 Evergreen LMI installed a fence for the Bucks County residence. We work with you on the boundaries you want created on your property, let you choose the fence material and move forward with the installing the fence. 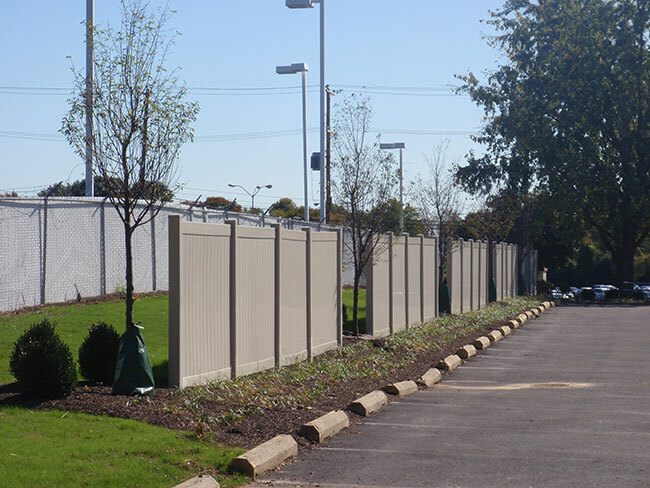 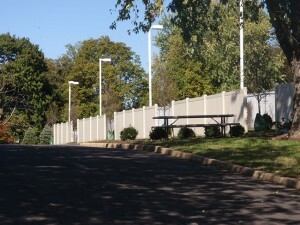 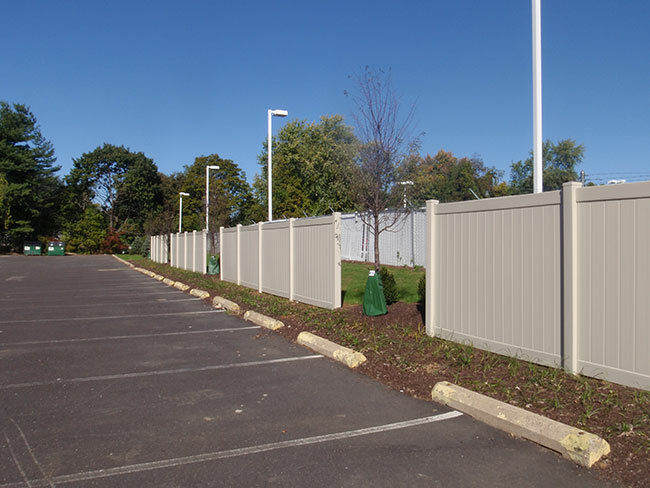 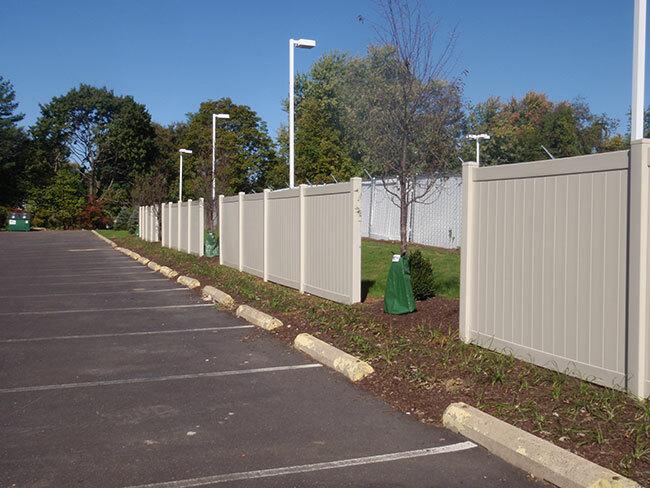 Evergreen LMI installed this PVC fence for a Bucks County business owner to both lower sound and for a more appealing look to the parking lot.